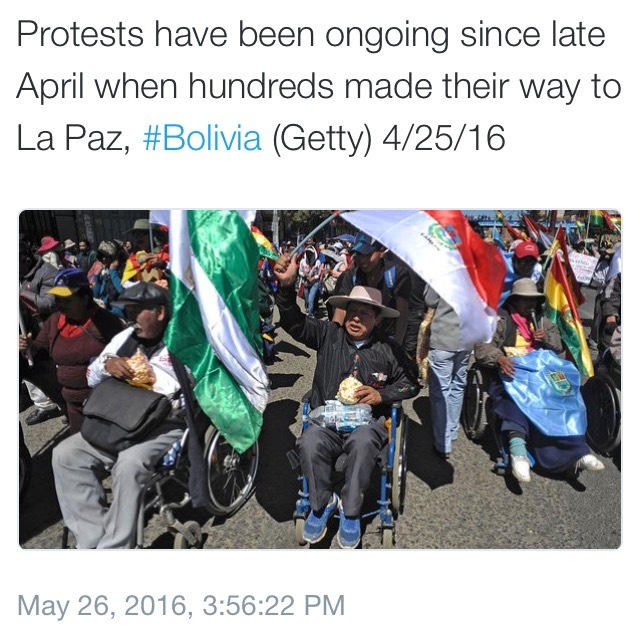 Outrageous Bolivian populist gov behavior! 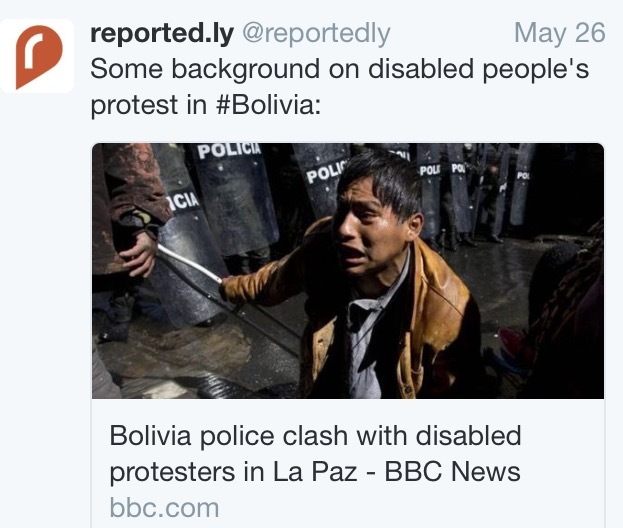 There have been shocking scenes at the end of a demonstration in Bolivia as disabled people clashed with riot police. 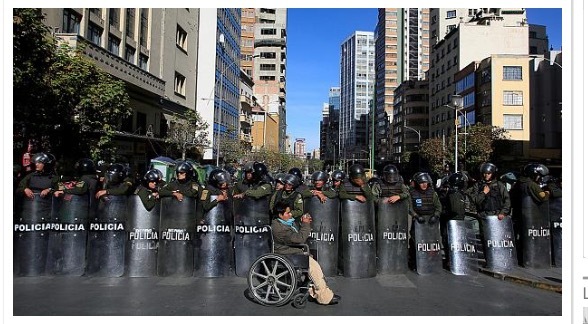 Tear gas was let off as the protesters, some on crutches or in wheelchairs, advanced down the street in the city of La Paz. 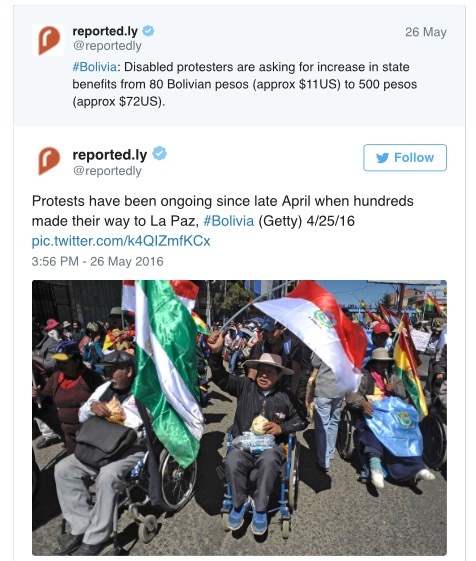 “Some of the disabled people have been injured during the protest,” said one protester. “We have been gassed repeatedly. This time it is really bad, I have been sprayed in the face,” one protester told reporters. The protesters tried to stand their ground as the police advanced down the street. .Campaigners are demanding better state benefits and equal rights for people with disabilities. 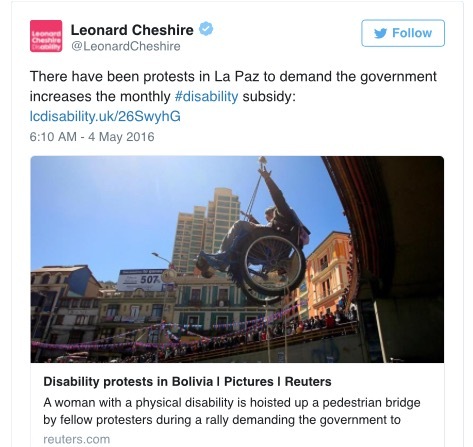 This entry was posted in Bolivia, Health, La Paz, Politics, Social Unrest and tagged demagogue, government failures, police aggression, public policy failures. Bookmark the permalink.